Konica Minolta developing a 'sweaty smells BO/feet' sensor app for smartphones. 'KunKun' (Japanese for 'sniff sniff'). Detects metabolites associated with sweaty body/feet odor. Very little info so far. First media reports this week. This week media has reported that Konica Minolta company of Japan are developing a consumer sensor device that detects metabolites associated with 'underarm body odor' 'foot odor' or 'middle age fat odor'. The sensor will be hardware that displays data info on a device (e.g. Smartphone, computer). Probably the info will be sent by bluetooth. It seems they started this research maybe 1 1/2 years ago, The aim will be a consumer device. They are using a High Accuracy Nose Assist to sense odors, Currently this has led to the KunKun for sweaty odor metabolites, Maybe in the future the Hana can be used to detect other smelly gases. How is the info displayed on a device (e.g. smartphone) ? It looks like each gas chemical will be marked out of 5 for strength, Pretty basic. A bit like a traffic light system. Ultimately actual measurements will be wanted by most users. 1. The technology is at an early stage. Probably any device will be seen akin to a 1970's computer in a few years. Groundbreaking at the time, but in hindsight pretty rubbish. 2. The 'market' seems to be just waking up to the concept of a 'smell market'. Even if you take the 'paranoid smell teen phobia' market, possibly most teens would want a smell sensor to check for smells. Until recently the sensor market does not seem to have considered this market. Recently Mark Cuban and all the Shark Tank investors invested in a smartphone alcohol sensor on Shark Tank. An observation would be this wasn't a very interesting idea. But now they have abandoned 'alcohol meter. and switched to a breath sensor (Mint Breathometer). There has been lots of investment in this device. So far it has not been available despite being scheduled for last Fall. One possibility is they have been overwhelmed with orders. This would be a good rule of thumb when buying a consumer 'sniffer' device currently. Most people with metabolic malodors cannot smell when they smell. So a consumer sensor is as important as a cure, because only with a reliable sensor can a person be sure they don't smell. 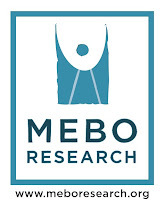 It has been something MEBO has tried to source over the years, to no avail. Probably the company directors realising the hugeness of the 'malodor phobia' market will now takeover and the market will naturally come up with devices, though it could be a few years yet.